Many view cleaning as something that they have to do. But few really take time to understand why. This eGuide will provide you with research information you should consider. 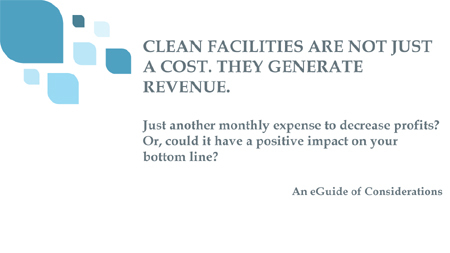 And after doing so, you’ll have a greater understanding of the value of commercial cleaning and its corresponding impact on costs, profits and how it can even contribute in a positive way to lower your costs and increase your bottom line!